The annual Good Food and Wine Show was held from 7-9 August 2015 in Sydney this year. Previous years it has always been on my birthday weekend in June, and as I didn't get to visit the show last year (due to my big 4-0) and experience their new home out at Olympic Park i was excited to see it this year. Bright and early on Saturday I headed out on the train and joined the already growing line (I was like the 20th in line) at 9.20am and by 10am when the doors opened the line was snaked all the way back to the train station. I headed in and came to my first stop at Jack Dillion that was launched this weekend! Young chef 'Jack' (Jacob) started to dabble in sauces, vinegars and smokers and has come up with a fabulous range of smokey BBQ sauces, a tasty range of balsamic vinegars, olive oils and sauces. This has been born out of therapeutic recovery. 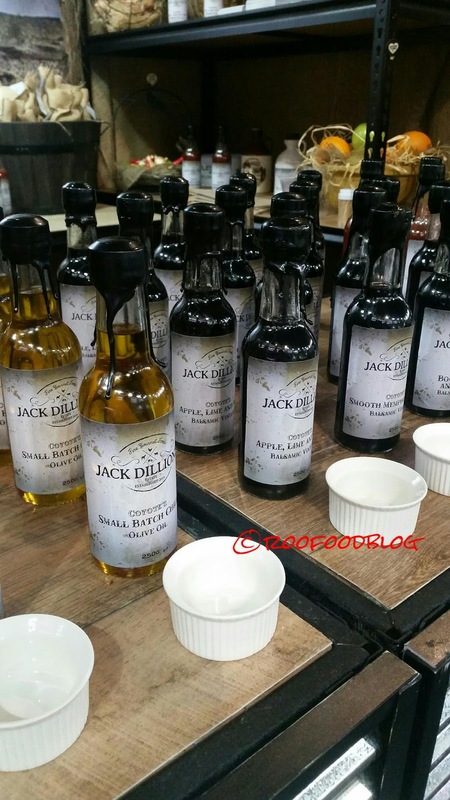 Without going into to many details, Jacob was recovering from injuries due to an assault late one night on his way home and while off recovering he decided to not go back to the kitchen and he has launched the Jack Dillion range. This was one of the first stalls I stopped at and was the last one of the day to purchase a bottle of the Bootleg Rum and orange balsamic. 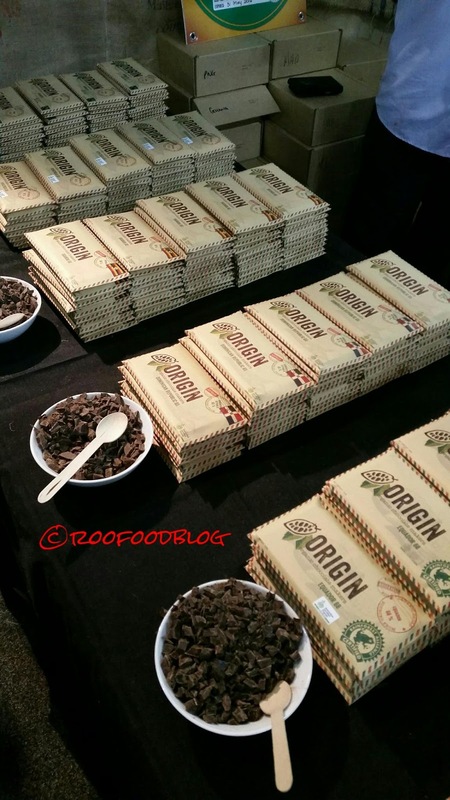 Some Origin organic (and fair trade) chocolate tastings. Using ethically sourced cocoa beans from Madagascar, Bolivia, Dominican Republic and Peru amongst a few others, this chocolate is high quality, creamy and rich. (since the GFWS I have come across Origin and 2 other festivals). Time for something to wet the whistle. 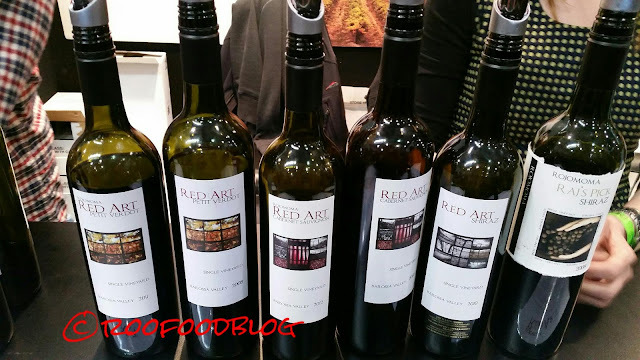 Visiting the 'Barossa Valley' for some Red Art wines. The shiraz was notable. I'll be honest, I sampled alot of wine this particular day hence the reason why I didn't take alot of photos. I did enjoy many a drop and even renewed my membership with Tamburlaine Wines. The show is a perfect way to sample wines from many regions. I got in early over at cheese alley before the crowds became to unbearable. 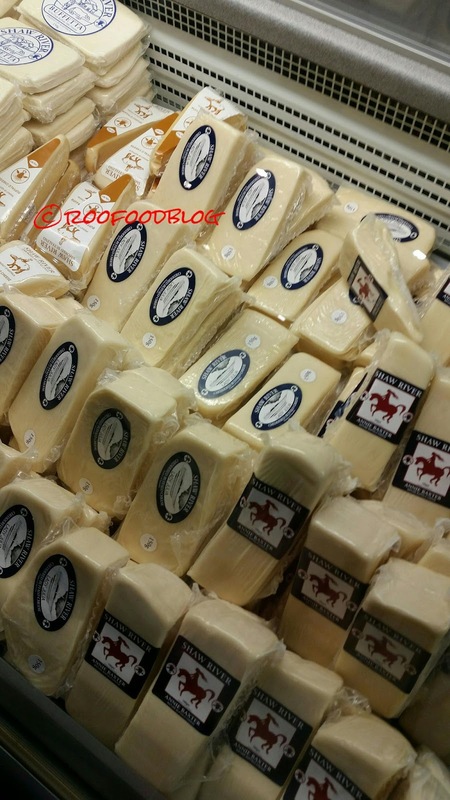 I stopped by Bruny Island Cheese Co to sample their range. 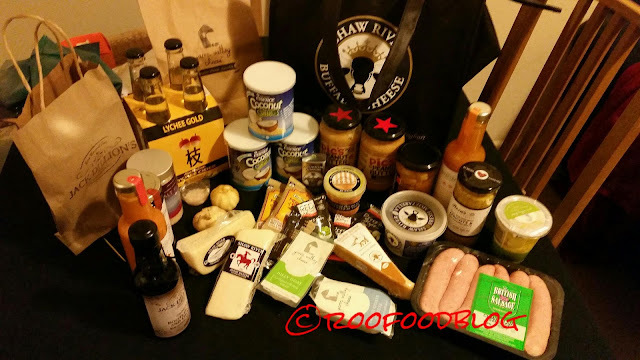 It was the first time I had the chance to taste their wonderful cheeses. The above cheese is their Oen. 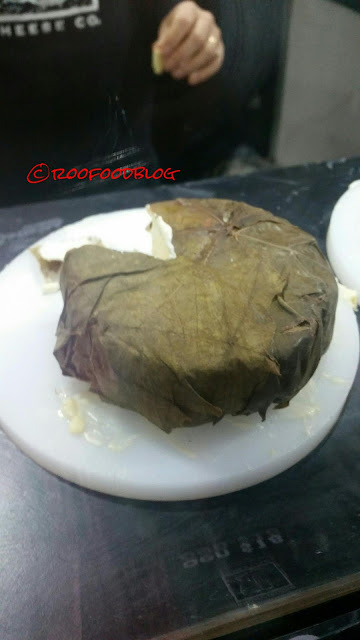 A soft cow's milk cheese, the rind is washed in pinot and wrapped in vine leaves before maturing. It is gooey and stinky and divine. Shaw River Buffalo cheese was spectacular. Their products are produced from 100% buffalo milk that are farmed in Victoria and range from yoghurt to a romano style hard cheese and a smoked buffalino. Time for some (more) beverages. 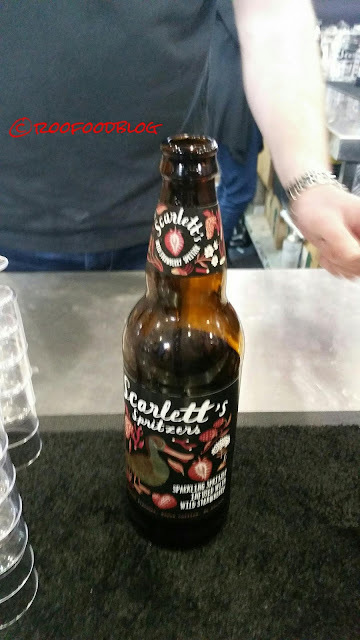 Scarlett's Spirtzers are from New Zealand and blended with wine and fruit flavours. Choice of passionfruit, strawberry or mango and orange, these are fizzy and refreshing. Stopped by Mrs Mi's to check out Robbie the noodle shaving robot. He is fun to watch as he shaves noodles into the big pot of water. 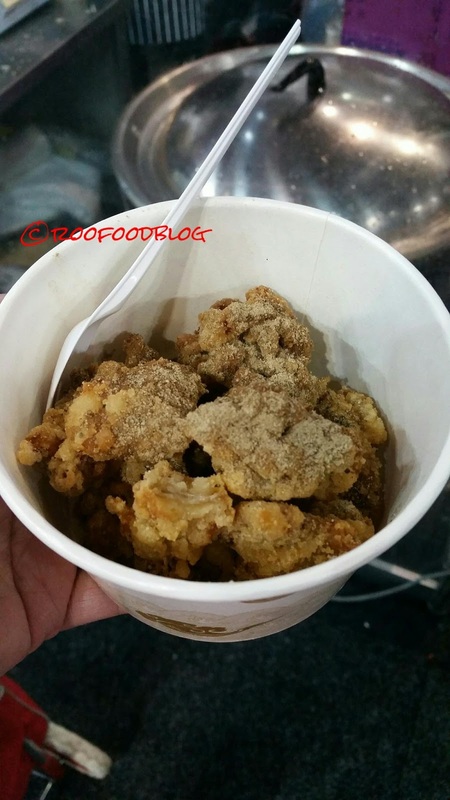 While there I grabbed a bowl of taiwenese style fried chicken which was so good. Hot, crispy, salty. Perfect. 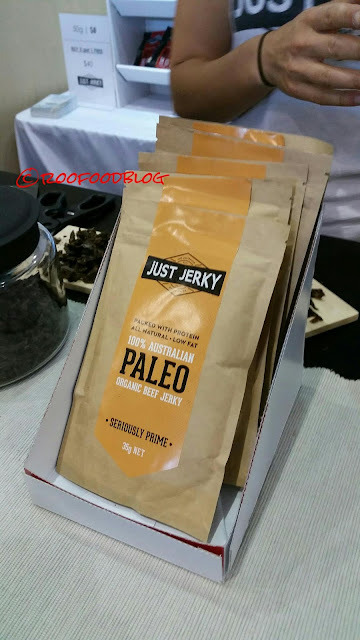 Just Jerky made from grass fed organic beef. It's primal, it's paleo friendly and it's delicious. 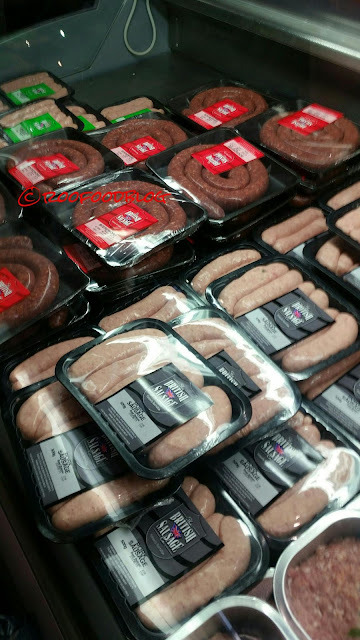 Sausages from the British Sausage. There is so much more at the show (and again forgot to take some photos!). I love this event and always look forward to it every year. So much that I am already planning next year! Gotta end the day with an obligatory haul snap. Here is all my goodies from the show!